Hands up anyone who’s recently had to buy gifts for 20 year old girls. Difficult, isn’t it? Times have changed so much since parents (and aunts and uncles) were young. Even elder siblings are puzzled regarding the best gift for girls aged 20. My niece loved my gift on her 20th birthday, an alphanumeric mobile. But that was ten years ago. 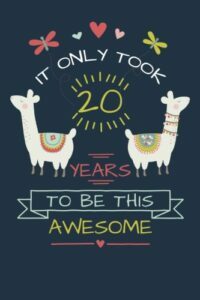 Now she’s 30. Trends have changed. Fashion has changed. Gadgets have changed. You want to give something special. You want to see someone’s face light up on receiving your gift. That happens when it’s exactly what the person needs and wants. That won’t happen without insight and guidance. You give up in despair and give cash most of the time. But while you know it’s welcome, you want to be seen as more than just a giver of money. There’s that special happiness that only the right gift brings. Common wisdom says ask the young ones what they want. That can be risky, however. Youngsters don’t always understand that some elderly people struggle with finances. We have to remember this. A pensioner friend of mine asked her beloved niece, aged twenty, what she’d like for her birthday. The niece overestimated her aunt’s budget and requested trainers which cost over $100.00. This was embarrassing for the aunt, who’d thought of buying a book for $20.00. She’s not well off, but she’d wanted to give her niece a little gift. She lied that the shoes were sold out and gave a $50.00 gift voucher instead. Way above her budget but below the niece’s expectations. However, having money doesn’t necessarily fix things. Another friend bought her daughter the latest mobile and got it totally wrong. The girl used only iOS the gift was Androids. Sometimes it’s hard to get it right. Here’s a guide to the latest, hottest gifts on the market today, for women aged 20. If your twenty year old girl is one who likes sports, loves keeping fit and runs regularly, she’ll find these running shoes to be a very welcome and acceptable gift. They’re made according to the latest technology, in a variety of attractive colors. It’s hard to imagine a young woman, who’s both fashion and fitness conscious, being dissatisfied with a gift like this. They look good and they feel great. They are especially made to support the feet during intense training. They are fashionable and functional. What’s not to like? Check the size before buying as a precaution. Here is another perfect gift for the active, sports conscious, young woman who is also style conscious. These leggings are a little pricey, but they are well worth the investment. For active sports women, this item appears to be something of which you can’t have too much. In fact, having a stockpile seems a wonderful idea. As with training shoes, check her size before purchasing, as the item is available in a range of sizes, from extra small to extra large. It is gray in color with an attractive pink and turquoise pattern. These tights support the joints during intense exercise. 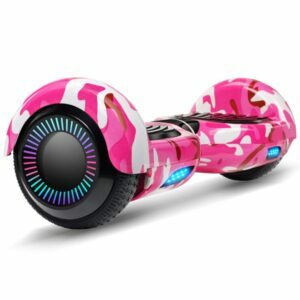 For those with a reasonable budget to spend, this is the perfect gift for an active girl who loves to play outdoors and experience the thrill of unbridled freedom. In a stylish pink color, it’s an exciting gift. If you have the budget and you know she’d love it, go ahead and buy it. She’ll be delighted. You might need to get her a safety helmet too. According to safety regulations, it’s mandatory, as it would be for cycling and other such sports. Lots of people fall when they’re learning to skate and cycle. Even experienced users sometimes fall. Backpacks are synonymous with students. There’s nothing better for carrying the books around, as well as a laptop or a tablet. 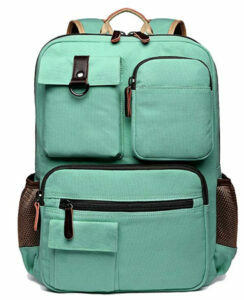 Once seen as only for hikers and world travelers, this can now look as smart and stylish as any other accessory. Modestly priced and made of washable canvas with cotton lining, this women’s backpack has adjustable straps and pockets. It makes a budget-friendly and practical gift for any 20-something woman, especially if she’s still in college. Even if she’s not, she would still appreciate a stylish gift like this. It’s hard to imagine a student’s life without a laptop in today’s world. 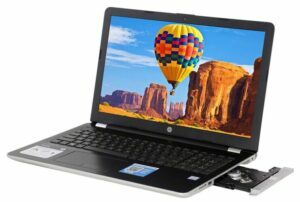 A laptop serves as a reference and research tool, a learning aid and an ebook library as well as a system for completing and organizing assignments. This particular laptop will provide the ultimate experience for any student, whether an undergraduate, a postgraduate student or otherwise. It boasts some innovative features like a touchscreen. If you have a big budget to spend on your girl, this is a gift which will be highly useful. Needless to say, it will be extremely well received. If you’re looking for a gift for a fashion conscious young woman of today, you’d better keep in mind that cosmetics are important. Applying cosmetics is an art and every artist needs his or her brushes to be the best they can afford. In the past, women turned to make up artists for special occasions like weddings. But today’s young woman wants to be her own make up artist. 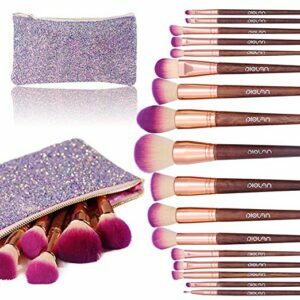 Although this set it modestly priced, it contains almost every brush there is. If you’re on a budget, it still looks like a generous gift. Today’s young woman lives in a highly competitive atmosphere. Competition is intense and the pressure is on to look and be the best you can be. That’s why a manicure set like this is such a treasure. It has literally everything you could want in a manicure set. It covers not only manicures but pedicures also and comes in a handy little travel case. Reasonably priced, it enables you to give your girl an excellent gift, while fitting the most modest of budgets. This is a gift to give with pride. It’s perfect. If your girl is fond of jewelry, this will be a very well received gift, one to wear with pride. Featuring the 1999 dime, this gift is made to individual order and is a work of skilled craftsmanship. It is unique to the recipient and therefore all the more special. With a mid-range price tag, this bracelet is definitely within the reach of anyone who wishes to give a memorable gift. Whether the girl is one who loves jewelry or one who just keeps a few special pieces, there’s no doubt she will certainly treasure this one. If your niece or daughter has a special 20th birthday coming up and if you’d like to give a piece of jewelry, this is a good idea. This set is perfect for a special gift, with its pretty design and craftsmanship. It looks classy and stylish too. You will find this set looks as if it’s worth much more than it actually costs. Any young woman would love to get a jewelry set like this as a gift. 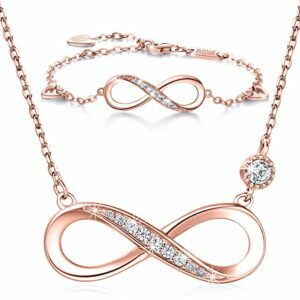 Its charming design will please the wearer and look great on her too. 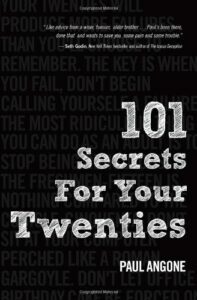 This is a well read and received guide to the twenties, which still resonates with the current generation. Sometimes the twenties can seem like the worst period of your life. There are so many new things to discover and so many uncertainties. Today’s twenty year olds have the additional headache of living through transitional times. A guide is needed to navigate that troublesome decade and this one does the job. It’s the perfect gift for any new twenty year-old and will be eagerly received. The best part about this gift is that it’s affordable for everyone. If you’re broke and need to buy an awesome gift for a 20-something, this is the one. It’s a journal for your girl to record her thoughts, her hopes and her dreams. She’ll surely love the cover design and even though the gift is deceptively simple, she’ll appreciate it, put her individual stamp on it and make it into one of the best gifts she ever got. Gifts like this mean a lot because they’re so personal. You can’t go wrong. For a young lady who’s gone away, or going away to college and has to cook for herself, this is an awesome gift. Life is hard enough when you’re a student without having to cook your own dinner! This book is full of tips and tricks for creating nutritious and fast food in the kitchen. It’s a handy guide and will prove totally useful. The book is available as a physical copy or an e-book, which might appeal more to the younger generation! It’s definitely one of those can’t-go-wrong budget gifts we all need to buy sometimes. 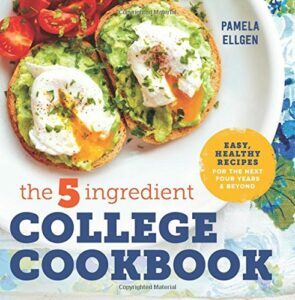 A cookbook is surely one of the best gift ideas for a 20 year old female college student. This is another wonderful, practical guide to navigating the world between the college days and the marketplace. It has a practical yet light-hearted approach which will grab the young one’s attention immediately. 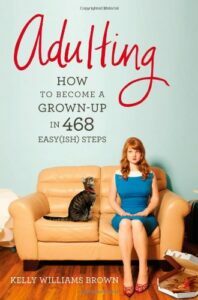 Difficulties can really get you down at that age and there’s nothing like having a practical guide to which you can turn for answers. A useful and practical gift which is light on the budget. Its approach to the twenties is slightly different to the book mentioned earlier, but it’s just as interesting. So keep this in mind. It’s good. If there’s one go-to gift that gets it right every time, it’s a coffee mug. Whether the recipient drinks tea or coffee, it hardly matters. And it’s all the better when it shows some personalization. Now, the price may seem a little steep for some, for a coffee mug. But bear in mind that this is a birthday gift. And a special birthday gift at that. Better still, it’s one of those gifts that a person can get several of and still be excited, because every mug has its individual personality. This is one of the best gifts for 20 year olds! This is a sure fire hit birthday gift for the fashion conscious twenty year old. Without mentioning age, it ensure she’ll stand out at her own birthday party. Your girl is going to love this. In a simple yet effective design, it will make her look fantastic and she’ll surely shine on her special night out. It goes great with jeans, with skirts and it’s comfortable for dancing, partying and even sleeping. The rhinestone design stands out. It’s available in various sizes. You can’t go wrong with this. The overall best pick regarding gifts for a twenty year old woman is no. 14, the coffee mug. The main reason is probably already given in the description. But there are several reasons. I’ll give them one by one. Young girls love their coffee or tea, no matter how health conscious they are or aren’t, with few exceptions. For health reasons, some prefer green tea. They’re breakable. No matter how solid, they need new mugs from time to time. So getting several mugs as birthday gifts is not a problem. They can be personalized, which makes a gift really special. They’re budget-friendly. For older people, that’s a godsend. Christmas gifts for 20 year olds have given many a sleepless night to older relatives, owing to the fact that times and fashions are constantly changing. One thing to keep in mind is that budget type gifts are often given at Christmas. That’s because many of us are buying a lot of gifts at one time at Christmas. So books and mugs are prevalent as Christmas gifts. Christmas type mugs are great and books should be age appropriate. The latest bestseller is fine, but nothing too heavy or studious. Light-hearted, diverse reading is the key. 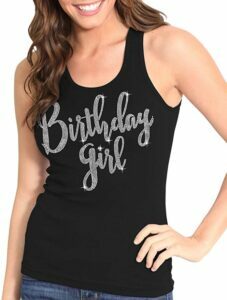 Birthday gifts for 20 year old women have given many sleepless nights to parents and relatives too. But relax. You’re probably buying just one gift at this time and can afford to be a little more generous. Also, it’s a nice time for something personal and special, like a piece of jewelry or an expensive gift like a laptop, if you can afford it. No problem if you can’t, just saying. Having said that, it’s not the gift that you give that always counts with youngsters. It’s the love and affection with which the gift is given that’s always most important. 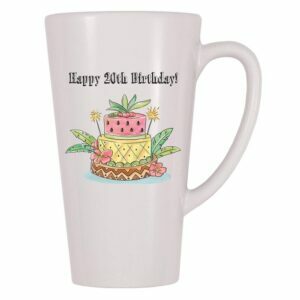 You can find many 20 year old birthday gift ideas above – any of these items would be great to give on the special day.